My favorite book of all time is the Bible, by God – I have many second-favorite books written by such authors as Ted Dekker, Frank Peretti, Stephen King, Dean Koontz, Edgar Allan Poe, H.P. Lovecraft, and Clive Barker to name a few. 7. What is your preferred genre? I prefer any combo of suspense, horror, supernatural, fantasy, science fiction, Christian fiction. 8. How did you start this journey to become a writer? 9. What have you written so far? 10. Tell us about your current book. My latest release entitled MY GYPSY WAR DIARY © 2018 (Gabriel’s Horn Publishing) is a suspense/thriller set in Norfolk Nebraska during the 1970s and 80s. Here is the back cover blurb: “Where is Milo’s Bible,” the intruders demanded. They came under cover of darkness, their guns pointed at my elderly neighbor and only friend. And with the break in, an old story came out – young love, betrayal, blackmail, a treasure stolen and stolen again, a tale of vengeance and a life lived in secret. I was just a kid in the 70s, unable to sit still in school, living in my imaginary world of TV and movies. And now this betrayal from half a century ago threatened my life, as I found myself caught between hidden treasure and a band of gypsies who would stop at nothing to get it. 11. What is the inspiration for your current book? The inspiration for MY GYPSY WAR DIARY? Well, I grew up in Norfolk Nebraska, and to be honest, that town deserves a novel set in that location. 12.Who was your favorite character to write and why? 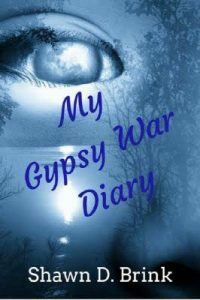 There’s a lot of ‘me’ in the main character of MY GYPSY WAR DIARY. It’s fun to see aspects of yourself emerge in fictional characters, and it’s even more fun to add other aspects that aren’t you at all. By this process, a character is created that is part you and part something else, something altogether foreign – an original creation. 13. Is there anything of you in that character? Yes. The main character seems to prefer his imagination to reality and feels, at times, a bit awkward in the real world. And that’s me to a certain extent. 14. What sets your book apart? As far as I know, there’s no other novels set in Norfolk NE. Furthermore, it’s a fact that it’s the only one based on my fictionalized memories of growing up there. In all my books, I strive to keep the reader glued to the page and always wanting more. I think I’ve done a good job doing that with MY GYPSY WAR DIARY. I don’t have a favorite part per say, preferring to appreciate it as a whole. Here is an excerpt from the first chapter as an example of what the reader can expect to experience. I stood there in that attic, holding the book that would guide me to salvation. It felt old against my fingers. In the dimness, I brought it up close to my face. The leather was cracked, but the embossed name of the book’s owner still appeared brightly. No mistake, this was the artifact I had come to retrieve. The rain pounded on the roof, reminding me of the sound of bacon frying. My stomach growled. No lie, I could have eaten some bacon right then, but the mission needed to be completed. Besides, I had no bacon. And then – I froze in terror. Mixed with the bacon-frying, was another less distinct noise; one not created by rain, wind, or thunder. It was a rhythmic creaking. That sound verified an unsettling fact. I was not the only one interested in that book. I was not alone in the house. Somebody was climbing the stairs. The creeper ascended slowly, evidenced by the time that passed between each creaking reverberation. Whoever was slinking up those steps, was trying hard to slide under my radar. 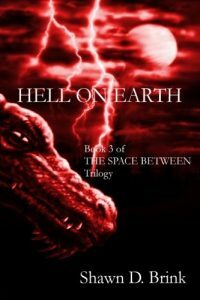 Shivers squirmed up and down my spine as I looked for a place to hide. There was nowhere. 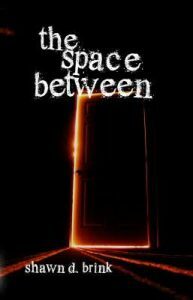 The attic was an empty space, void of anything to cower behind. 16. What was the most difficult part to write? The most difficult part in any of my books is writing the words ‘THE END’. This is because when I create a novel, I develop personal relationships with the characters as they develop within my mind. This happens regardless of their status: protagonist, antagonist, heroes, or villains. But after writing the words ‘THE END’, we kind of go our separate ways. I’m not very loyal to them, and usually begin to develop relationships with new characters for my next story, pretty much right away. Still, breakups are difficult are they not? And that’s why it’s always the most difficult part to write. 17. What was your favorite book to write? I liked writing all my books, but I feel MY GYPSY WAR DIARY represents some of my best work to date. Plus, it just seemed to flow as it was so ingrained in my childhood memories of Norfolk. 18. How do you write? Do you have a set time or place? How many hours a day? I have a full-time job, a wife, four kids, and a miniature schnauzer. I write whenever I uncover a spare minute at any place I can find. Often this means writing over lunch, getting up early and staying up late. But writing’s my passion, so finding the time is a challenge worth accepting. 19. Why did you want to be a writer? As mentioned above, it’s my passion. I really can’t help but doing it. 20. How do you get your ideas? I get my ideas everywhere and from everything. – My dreams, my nightmares, my observations, nature, God, – the list goes on and on. 21. What do you have planned next? 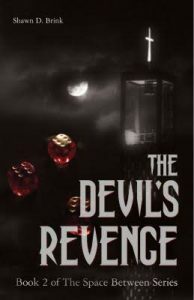 Right now, I am in the process of obtaining literary agent representation regarding my latest book, a supernatural thriller. Also, I am working on the rough draft of another novel. In addition, I will have work featured in two anthologies to release soon – NEBRASKA EMERGING WRITERS PUBLICATION (Z Publishing) and MISCREANTS, MURDERERS, AND THIEVES, A collection of short stories about devious behavior (Obscure Publications).